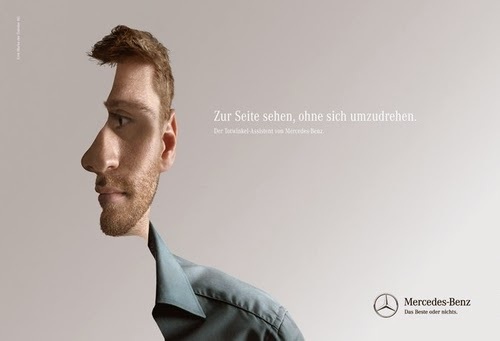 The idea originated with a campaign for Mercedes to highlight their new Blind Spot Assist feature, The more you stare at it. 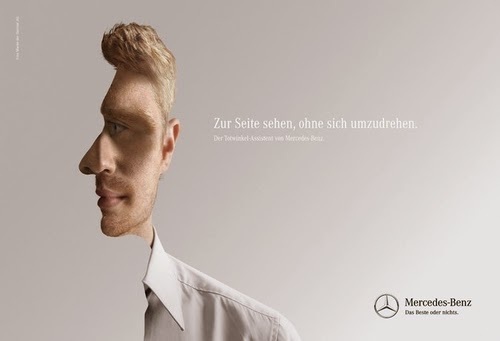 the weirder it gets, can you see the 2 faces?. 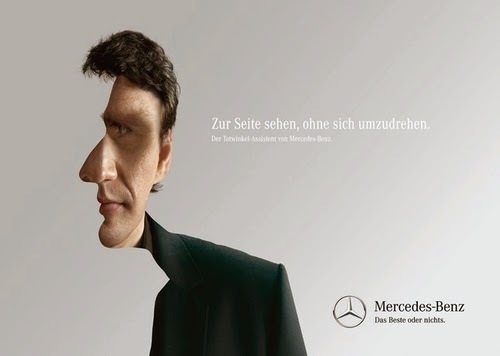 Photographer Klaus Merzis the creator of these intriguing images.